Softonic has joined Intel’s AppUp as the next App-Hub App in the Store. 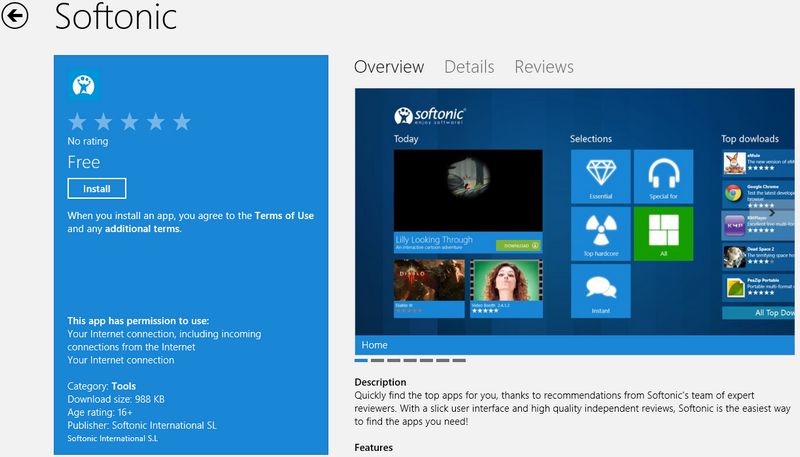 Softonic is a popular App Review and Download site, and they are now bringing their wealth of data to Windows 8 Metro via this app. Again, it should be mentioned that these 3rd party App-hubs are only peddling mostly desktop Apps, you will not see any Metro app for example in them. It’s a good think that we have these foreign app-hubs, time will tell whether MS should include desktop Apps the Store listing or leave the desktop apps listing to these 3rd party tools.